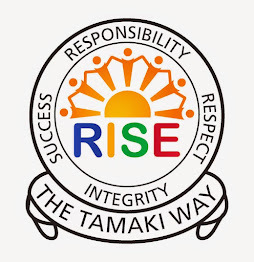 This blog is a record of my learning from St Pius X Catholic School through to Tamaki College. My mother's name is June and my fathers name is Koso, my father is now living in the United States. Me and my mum lives with my 2 aunties, together with my uncles ( my mum's older sisters and also her 2 brother in laws ). I have no siblings which is not fair because sometimes I’m lonely and have no one to talk to…….. but I used to have a sister. She was older and she was born before me, unfortunately she died when she was born. I have a really huge family living in Tonga and I really wish to see them sometime. What a amazing family you have! Thank you for sharing your family on your blog! Your doing a fabulous work! Hi Von, Thank you for telling us about your family. I am really sorry for your lost. I hope you enjoy the holidays and keep blogging. It is very sad that you have no one to talk too most of the time. If your ever feeling lonely at school you can talk to me. Other than that Great Blogging ! It's sad how you have no siblings so you have no one to talk to. Keep up the great work! This is a very special blog post. Thank you for sharing so much about your family with us. I feel very privileged to know so much about them! It sounds like you have a busy household, although I can completely understand that it could get quite lonely without any siblings to play with. I used to play with my sister, Leigh, all the time. She was always the first person that I would go to talk to in the morning. I would drag her out of the bed and ask her to play with me all day. She was a pretty good sport about it, although I knew that she often didn't really want to play. Poor girl! Sometimes I think about my time with Leigh when I watch my son, Aronui, play. He is an only child and he definitely gets bored. I do my best to play with him but it's not the same, is it? I am not very good at playing superhero games (the games that he likes) and he's not really interested in cooking or going for walks (like I am)! Ah, well. We're quite lucky to have loving families even if they are a bit small, aren't we? Weekly activities/ day 1 /Activity 1! My highlight for the camp!